Today I’ll be sharing something a little different with everyone. I have had an amazing experience with an online retailer and I just have to tell everyone about it! I started wearing glasses when I was very young. Though I made some questionable choices over the years (see below), I was a dedicated glasses-wearer until somewhere around the time I became a teenager. In retrospect, choosing to stop wearing glasses full-time right around the time I started driving was likely not a great idea. But, I digress. Some of these glasses I loved and some I ended up hating (or losing, but that’s another story). For most of my teenage years I only would wear them when I felt confident in them, or when it was absolutely necessary. My vision suffered because of this choice, which leads me to today. After years of extensive computer use, both personally and professionally, my eyes have taken quite a beating. My husband and my family would often point out that I was squinting when I looked at the computer, my phone, etc. 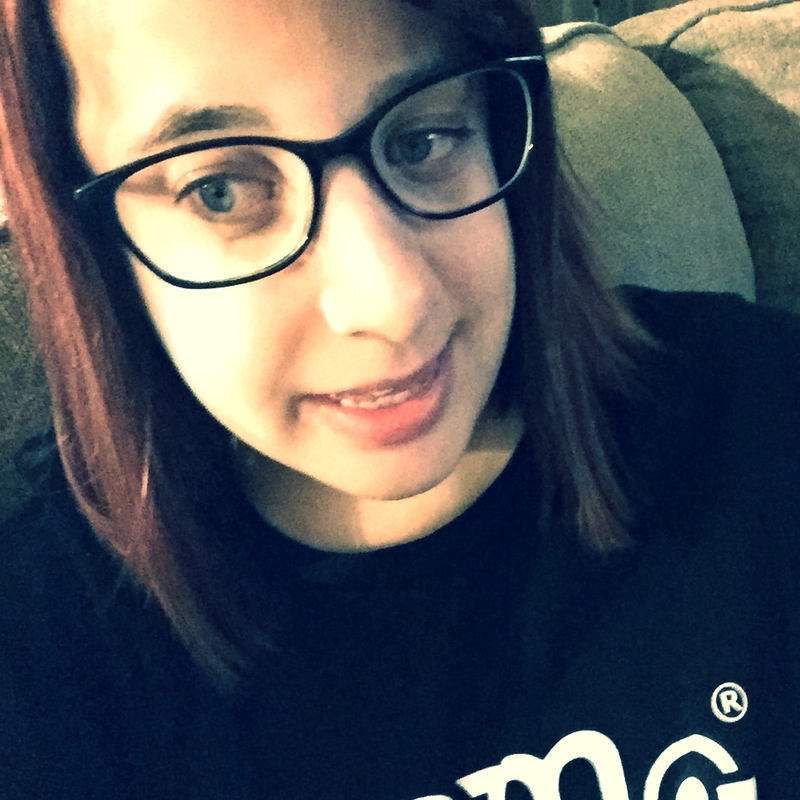 So, I realized I needed some glasses that I truly felt comfortable and confident in. I had originally heard about David Kind via a post by Kate from The Small Things Blog and thought their glasses looked very sophisticated and fancy. The online eyewear business has gained a lot of popularity in the recent years and I actually tried out other companies prior to this but still ended up not liking the product. So, I decided to sign up for an At-Home Try On and see what they had to offer. The first step is to fill out information about what you like in eyewear including color and shape preference, and you previous experience with glasses. You get to select 3 pairs of glasses to be sent to try out and are assigned a personal stylist that selects 3 pairs based on a photo that you upload and your profile. The At-Home Try On is completely risk free, if you don’t like any of the glasses you send them back using their pre-paid postage and move on with your life. I received my try on order about 4 days after ordering (I ordered on a Sunday) and was immediately impressed by the packaging. The team at David Kind really has their packaging down and has somehow managed to package together an experience that feels upscale and luxurious without having to even leave your home. (Side note: I hate shopping for glasses in-store). 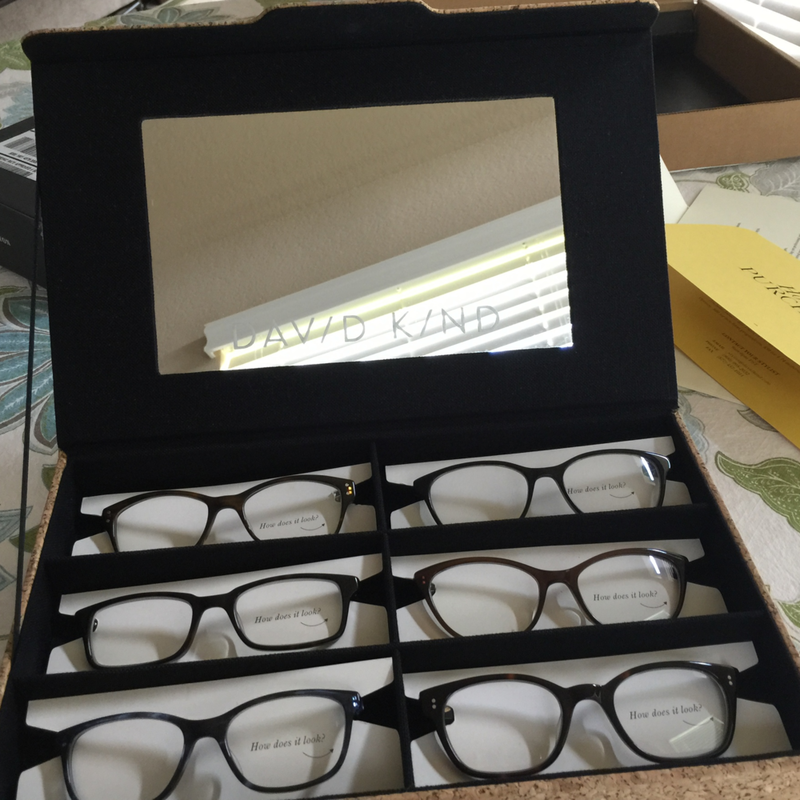 As you can see, the box with all 6 frames is very stylish and even includes a mirror – how thoughtful is that? They really thought this packaging through. Each of the 6 pairs has a card attached that says “How does it look?” on the front and a comment section on the back. Out of all 6 I had 3 favorites, some of which had been selected for me by Sami (my stylist), but in the end I selected the Mia frame in Tiger Eye. I sent the box back including my prescription and patiently awaited my new glasses. Preparing the glasses takes about 5-10 business days, but your stylist checks in with you personally all along the way to keep you informed of what the status is. They also offer an itemized receipt so that you can submit the claim to your insurance company. Within 8 business days my glasses had been shipped and were on their way, and I received them 3 days after that (they ship via UPS). Again, I was very impressed with the packaging. They continued their ‘cork’ theme into the glass case, included a thank you card, and microfiber cloth. The glasses feel very well-made and high quality, and the prescription is accurate. All in all I am very impressed and happy with my experience and will continue buying glasses from this company in the future. I hope you guys enjoyed reading about my experience, let me know if you have any questions for me. Well I still like the ones you wore in the top middle picture! You were such a cutie pie!